Through the painstaking steps of Young Living’s proprietary Seed to Seal® production process, they produce the best essential oils in the world. They are committed to providing pure, powerful products for every family and lifestyle, all infused with the life-changing benefits of our essential oils. Their community of wellness started small in 1993, when D. Gary Young and Mary Young developed their first organic herb farming and distillation operation. At the time, Gary Young had already discovered the incredible power of essential oils, but because the quality of available oils varied so greatly, he’d been unable to fully harness their potential. Mary’s previous experience in the direct-selling industry enabled the Youngs to fulfill their vision and establish a business that would empower its members to share truly pure essential oils with the world. 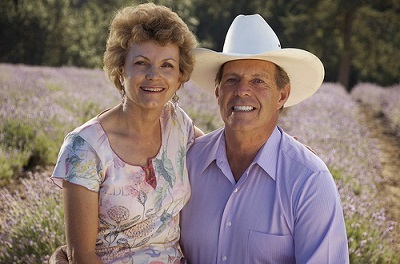 After establishing Young Living in 1994, the Youngs developed more farmland in Utah and Idaho and began cultivating lavender, peppermint, melissa, clary sage, and many other herbs. Fueled by a growing demand for top-quality essential oils, Young Living designed and built the largest, most technologically advanced essential oil distillery in North America. In harmony with these efforts, Young Living developed its groundbreaking Seed to Seal® process, which preserves the integrity and potency of essential oils through every step of the production process. Through Gary and Mary’s combined leadership, Young Living has grown to become the world leader in essential oils and wellness solutions. Headquartered in Lehi, Utah, with offices in Australia, Europe, Canada, Japan, and Singapore, as well as farms around the world, Young Living stays true to the Youngs’ original vision. With their steadfast commitment to essential oil purity, they’ve inspired millions of people everywhere to experience nature’s gifts of wellness, to create abundance as Young Living members, and to discover new opportunities for lifelong transformations. As the world leader in essential oils, Young Living is constantly expanding and improving their farms and global partnerships while staying committed to their Seed to Seal® quality commitment. With locations on six continents and more than 25 open markets, Young Living’s global presence is undisputed. With the global growth, their commitment to creating pure, potent essential oils and products through environmentally conscious methods also continues to grow.